The main message in this bottle is that the difficult times are over as we reconnect with our powerful inner female energy. Begin to feel the joy. 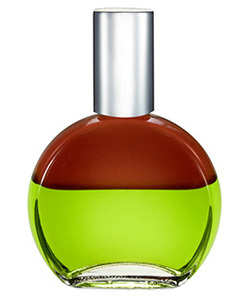 This is such a powerfully female bottle as the olive relates to feminine power and the copper relates to Mother Earth. If we are able to access all of that we have the potential of creating a really wonderful reality on earth. This is a very new concept on a planet where most power has been expressed as a destructive force. This bottle is really the forerunner of the golden earth where all beings will be safely held in the love of Mother Earth.